Danny Dyer is a great example of the actor as marmite: people who like him like him, people who don’t… absolutely and totally loathe him. He’s popular with the birds’n’booze crowd but has the ability to bring your average Guardian reader out in a vivid rash (always a good thing). I’m a bit odd, always have been: I read the Guardian but I also have a bit of time for the good Mr. Dyer. He’s one of the few actors who has been able to bankroll low budget films over the last decade or so (despite being paid a comparative pittance for appearing in them) and he has, when provided with good material, turned in decent performances (see Goodbye Charlie Bright, Human Cargo, Severance, The Trench). He’s a jobbing actor and he certainly hasn’t always made either the best choices in his acting career or his other extra-curricular activity, but that’s life when you’re someone who hasn’t made your way up the greasy pole of the film industry through nepotism or privilege. Anyway, that’s by the by. 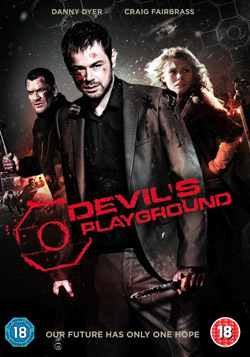 In The Devil’s Playground he’s teamed up with another staple of low budget British cinema, Craig Fairbrass, who a couple of decades ago was a tuppenny Sly Stallone and now counts as a tuppenny Jason Statham. Fairbrass plays a security consultant in the pay of one of those super-slick pharma companies who you just know are accidentally going to bring about the apocalypse, and so it proves: the participants of a drug trial are turned into energetic zombies who infect anyone they bite with the same affliction. 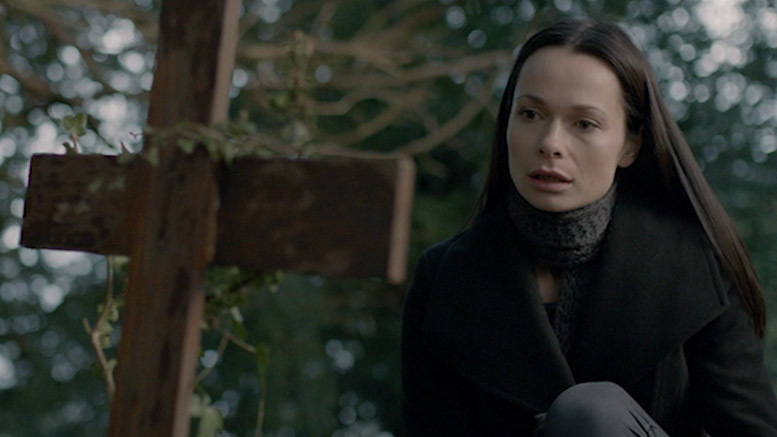 Before long London is swarming with the undead and the only hope of a cure is MyAnna Buring, who for some reason or other is immune to the infection. Fairbrass and her ex-con boyfriend (Dyer) are faced with the challenge of safely delivering her to the authorities, who are waiting safely for them on a warship at the mouth of the Thames. This one got lost in the tide of both Dyer and also zombie movies that were made around at the time of its release in 2010. It’s a bit of a shame, really, as it’s one of the better examples of either of them. For sure, it’s full of ridiculous ‘hardman’ dialogue that has all the authenticity of a Sep Blatter denial and, what’s more, the the plot is a mish-mash of ideas from previous films (most particularly 28 Days Later). 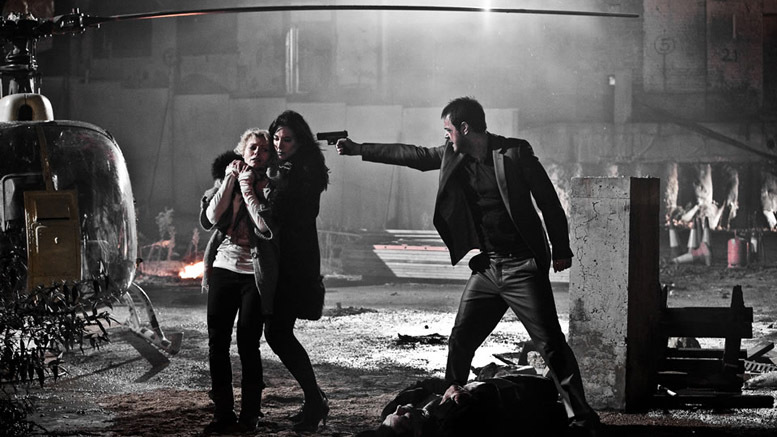 But it has a decent cast, with the reliable likes of Craig Conway, Jaime Murray and Colin Salmon in supporting roles, not to mention Sean Pertwee popping up for an amusing cameo. And it’s all put together with some vigor: director Mark McQueen may have been stuck directing The Only Way is Essex for most of his career but he keeps things moving rapidly here; the special effects are pretty good and the decision to use free-runners to play the zombies works well. Nothing special, but not bad.